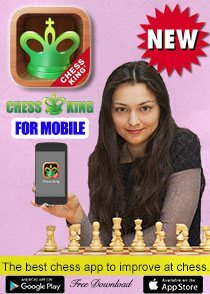 We finally have our new 2016 Versions of Chess King, considerably improved over previous versions. 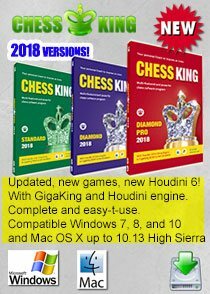 • All versions include the brand new GigaKing 2016 of over 6 million games • Improved interface, new features (themes, whole game evaluation graph) • All versions include both PC and Mac versions with up to 4 activations allowed PC or Mac • Now compatible with Windows 10 and Mac OS X 10.11 El Capitan You can buy the program directly by download or request an upgrade if you have previously purchased a previous version of Chess King. 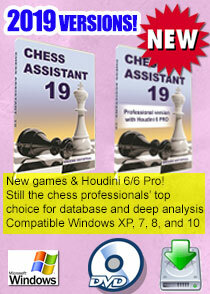 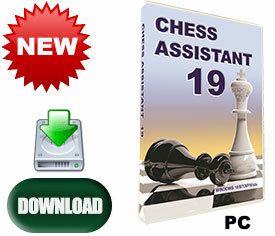 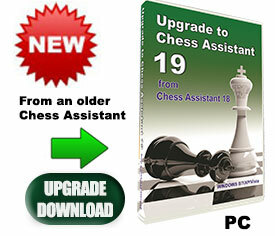 The price of the upgrade depends on which version of Chess King you have and when you have bought it. 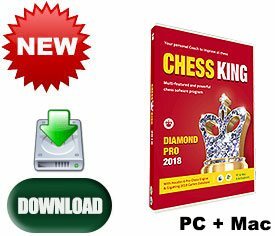 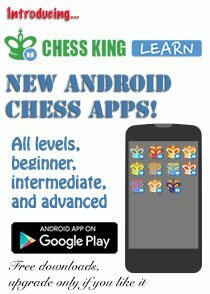 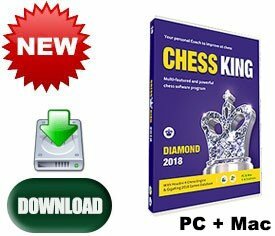 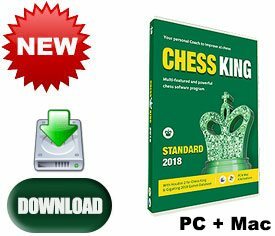 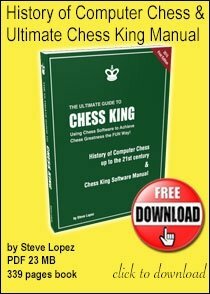 If you have very recently bought a previous version of Chess King (within the last month), email us for a discount coupon code valid for an upgrade. 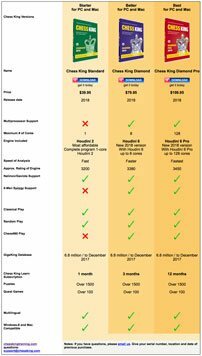 Don’t hesitate to email us if you have any questions.